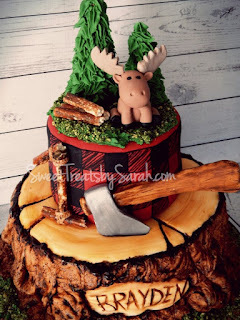 Sweet Treats by Sarah: Lumberjack Birthday Cake! I have been waiting patiently for two things: to make a mermaid cake and to make a wood cake. 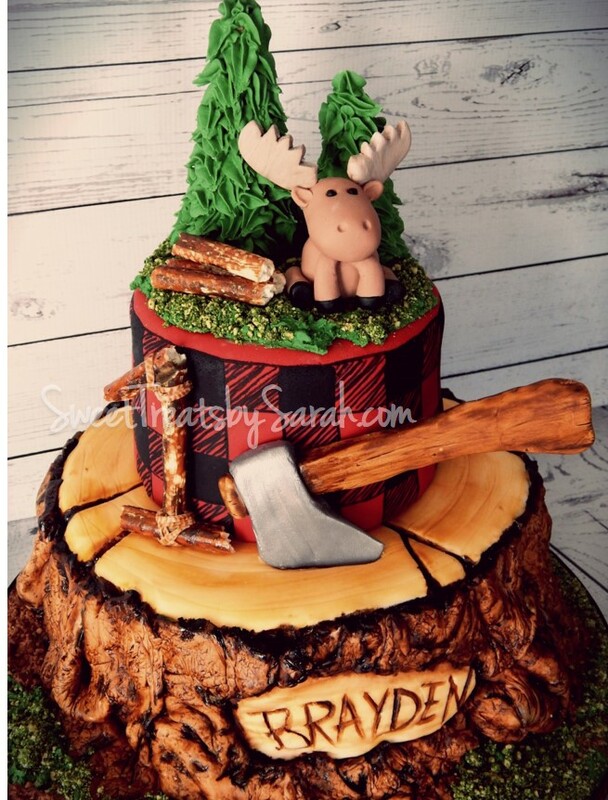 Well, still no mermaid, but FINALLY I was asked to make a wood cake! For the lumberjack cake I went with a fondant tree stump. I simply used bunched up tin foil for texture after placing the pieces and hand painted the details. 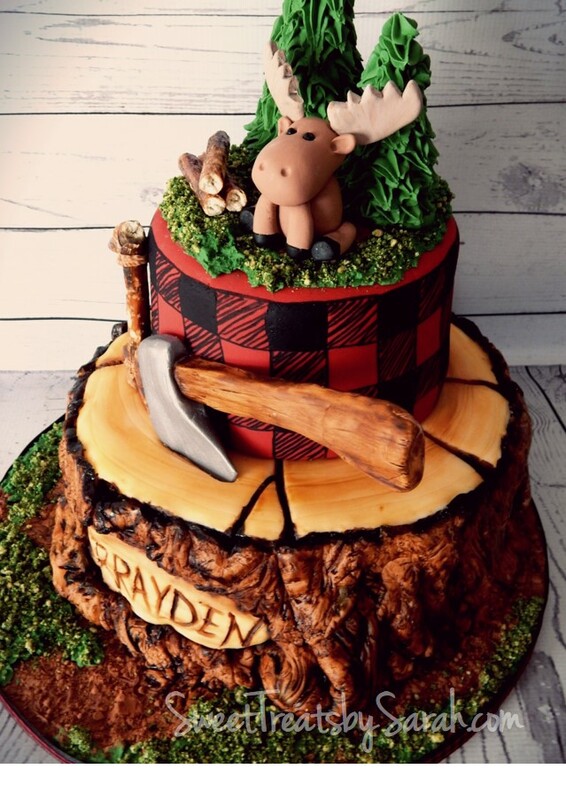 The plaid upper tier is hand painted. Now, I NEED to make more of these!! All different types of wood; aged, planks, birch, etc. Bring on the wood cake oders! I love you for making this cake on such short notice and for making my little buddy's birthday special. Next cake for my friends and family...my brother's wedding cake!!! 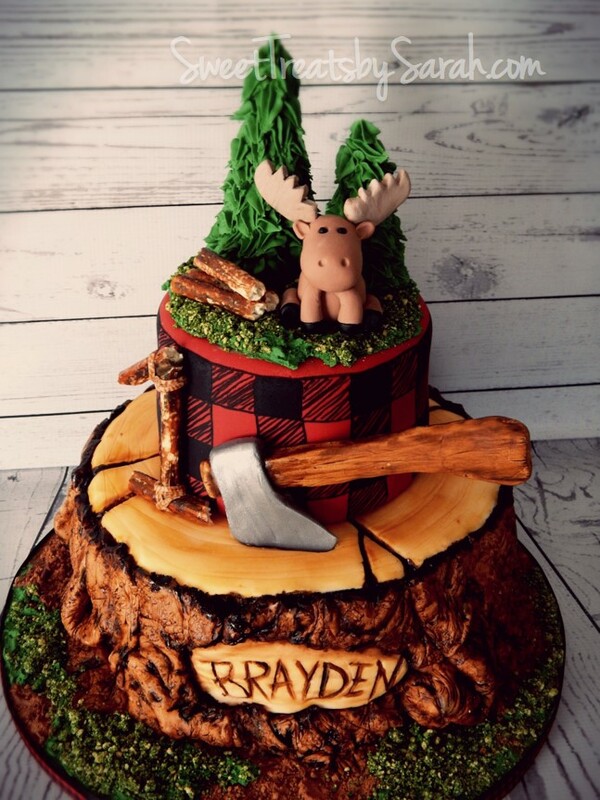 How did you make the axe? How many does this cake feed?? The axe is made from fondant with a wire support in the middle. 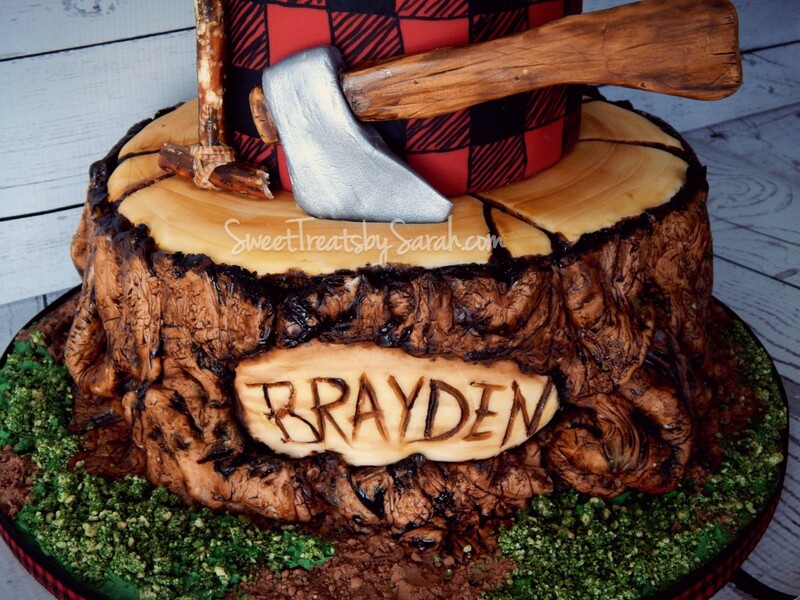 You can make this cake to accommodate any size party. did you use a six inch and ten inch cake pans?